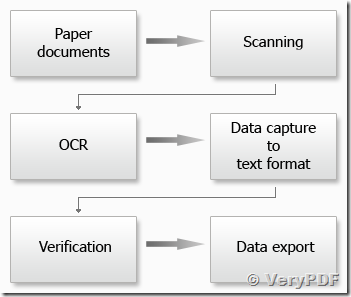 ← How to use VeryPDF Online OCR API to Convert PDF to TXT from my .net code? Free WebOCR API and SDK for C#, VB.NET, ASP.NET, Java, C++, VB, etc. developers. Royalty Free Invoice OCR SDK, extract items from scanned TIFF, JPG, PNG and PDF invoice documents. 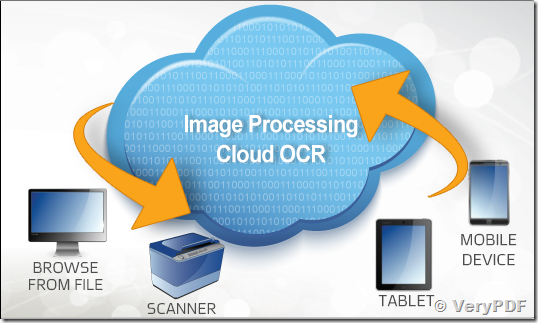 VeryPDF Free Online OCR Converter is a free online application for recognizing characters in images. It supports browsers including Chrome, Firefox, IE, Safari, Opera, etc. It supports input formats of image: JPEG, PNG, GIF, BMP and TIFF. 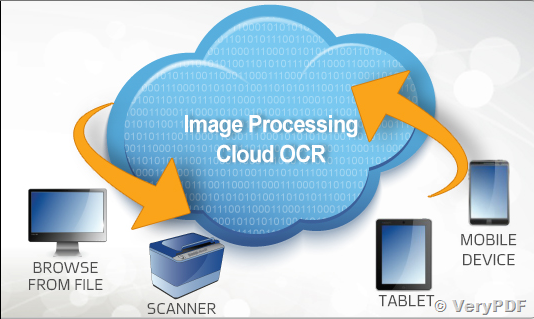 VeryPDF Cloud OCR API is a cloud-based REST API for optical character recognition and document scanning. It allows you to scan documents and recognize characters. Recognize text in English and other languages, and recognize text in only part of an image. VeryPDF Cloud OCR API supports a variety of fonts in different styles, like regular, bold, and italic, and different image formats. You can use VeryPDF Cloud OCR API in many scenarios, for example, extracting text and saving to a database. VeryPDF Cloud OCR API helps you read characters from images. You can recognize characters from BMP and TIFF formats at the moment. In order to recognize the characters from these images, you need to pass the specific image name and the format to the VeryPDF Cloud OCR API's REST API. The API returns the response including recognized text, font name, font size, font style (bold, italic, underline). You can get this response either in XML or JSON format. Scan whole or partial image for character recognition. Recognize text from a rectangular area. Specify rectangular area using X and Y coordinates, height and width. 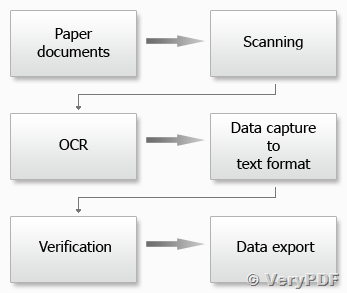 Optical character recognition involves handling font attributes. In order to make sense of a particular character from image, you need to know different font attributes as well. If font information is not available then it is not feasible to recognize a character from the image. VeryPDF Cloud OCR API API helps you recognize text and related font attributes accurately. These font attributes include font name, font size, font style (bold, italic, underline) etc. The characters of different languages have different representations. If we combine the languages with the font types and styles, it makes a large set of characters to be recognized from an image. 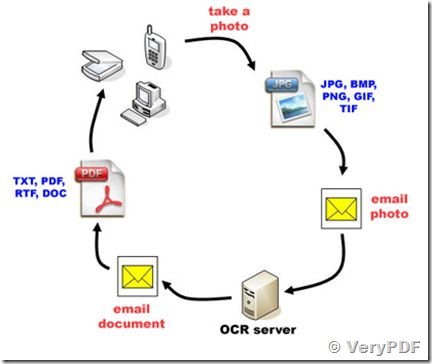 VeryPDF Cloud OCR API handles this task very precisely. It can recognize text in English, French, and Spanish languages at the moment. Convert PDF documents to Microsoft Word. Edit and quote PDF texts. Convert table images to Microsoft Excel. Re-use tabular data from scans and PDF documents. Create searchable PDFs from scans. Save your documents in PDF and easily find the text you need. VeryPDF Cloud OCR API converts scans in any of the supported formats, including BMP, PCX, DCX, JPEG, PNG, and TIFF/TIF, to Microsoft Word, Excel, PowerPoint, TXT, ODT, searchable PDF, and PDF/A. Convert PDF documents into editable formats to be able to copy text, tables or pictures and re-use them in other documents. With VeryPDF Cloud OCR API, you can quickly convert a scanned book to ePub or fb2 formats for reading on your preferred mobile device. The formatting of the original document will be preserved. Process documents in any of the 20+ supported languages, including European languages, Chinese, Japanese, Korean, Bulgarian, Catalan, Croatian, Czech, Danish, Dutch, English, Estonian, Finnish, French, German, Hungarian, Indonesian, Italian, Latvian, Lithuanian, Norwegian, Polish, Portuguese, Romanian, Russian, Slovak, Slovenian, Spanish, Swedish, Turkish. Please do not feed hand-written documents to VeryPDF Cloud OCR API. 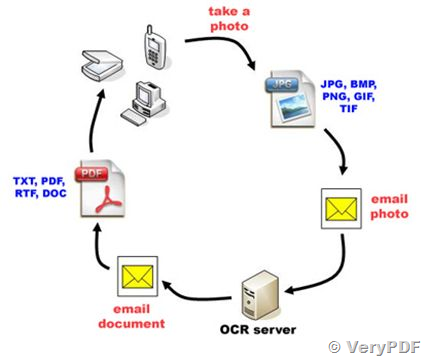 This service can only process printed documents. Be sure to select the right OCR language for your document. Scan documents at a resolution of at least 300 dpi. Can I OCR screen shots? Our OCR engine requires images at a resolution of 150 dpi or greater and as such it is not optimal suited for reading PC screen shots which are only 72dpi. An Additional problem is that the fonts used for web design are usually sans serif fonts, which are more difficult to recognize than serif fonts. But as we process your uploaded image for better accuracy it might be possible to OCR even screen shots. just give it a try. In the most cases the result is faster than typing all by hand. This entry was posted in VeryPDF Cloud API and tagged ocr sdk, ocr service, online ocr, web ocr. Bookmark the permalink. We have potential client who is looking for OCR Mobile and Web solutions. We believe VeryPDF software can help us on our requirements in capturing driving license & traffic tickets images, OCR it and send it back with XML / JSON to our web application. Can we have a call today to discuss your offerings for our requirements and associated costing?